Have you noticed how knitted products invade homes, and not just as cushions and plaids? Designers are playing with materials and large knit stitches to give a twist to the classic granny look. 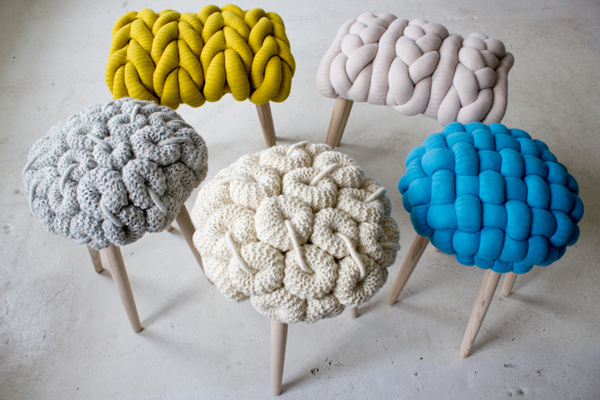 London-based designer Claire-Anne O’Brien plays with oversized ‘threads’ for her Knit Stools.